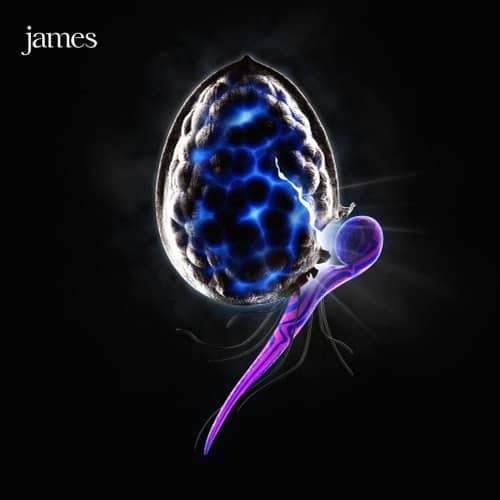 With a career that includes ten studio albums, 20 UK Top 40 singles and 12 million albums sold, The Night Before is the first of two mini albums from James, containing all brand new studio material from the seven piece band. Produced by Lee "Muddy" Baker (who produced Hey Ma as well as lead singer Tim Booth’s solo album Bone in 2004). The Night Before was conceived uniquely: the band set up an ftp site to which they all contributed, downloading and updating each other’s efforts at various intervals whilst Baker knocked things into shape. This virtual recording process (which eventually led to recording sessions in Brighton and Oswestry) was presumably inspired by the band’s history of working with Brian Eno. The stand out track from the mini album is "Crazy" was inspired from Booth’s hospitalisation for liver disease; throughout recovery Booth was convinced that his physical frailty (which often produced hallucinations) meant that he was "crazy".